When Gordon Landies invested in OfficeWork Software, a San Francisco-based H.R. intelligence solution, he knew he wasn’t interested in financing the business like a typical Silicon Valley tech company. The majority of these firms look for VC money to start up, then do several rounds of angel and VC funding. But Gordon and OfficeWork’s founder planned to finance the company with personal equity and long term debt. They wanted to avoid the complications of taking on investors during the early growth stage of the company. OfficeWork isn’t Gordon’s first rodeo. In 1989, he sold his first software company to The Software Toolworks, the first entertainment education software company to go public. Gordon has been involved in over 20 mergers and acquisitions since then. He’s started businesses including photos.com (which eventually sold to Getty) and houseplans.com, the #1 online site for house plans. Gordon was well aware that taking on equity early on would mean giving up control before having the chance to increase value. He wasn’t interested in the legal and accounting expenses that come with investors or in high dilution at an early stage. He knew he had the experience and resources to grow OfficeWork on his own (in part by deferring pay and using personal financing). For the first two years, the company was able to scale with bank term loans and loans from Landies’ venture firm. In 2014, however, Gordon was seeking long-term funding for growth capital. “We needed funding for cycles in the business, as well as for technology development, which often takes 12-16 months before revenue is realized,” says Gordon. Gordon turned to Axial for help. “Axial provided a unique array of contacts, including small VC, private equity, and alternative VC lending sources. Through Axial we were connected with Lighter Capital, which provides a unique revenue-based lending program. Within four weeks of our introduction to Lighter, we closed the first of two long-term loans, with unique terms for growing technology companies,” says Gordon. 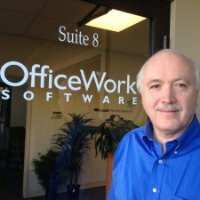 We talked to Gordon about OfficeWork’s growth up to that point, why Lighter Capital was the right fit for his company, and his main focuses for OfficeWork moving forward. 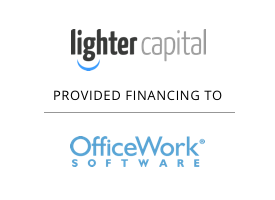 OfficeWork’s core offering is OrgChartPro, an H.R. intelligence solution currently used by the likes of Nike, Restoration Hardware, SiriusXM, Turner Broadcasting, Subway, and more. OrgChartPro helps with change analysis, strategies around mergers and acquisitions, talent planning, headcount analysis around diversity or performance, and much more. The company began by developing org planning software for desktop, and sold to over 10,000 customers with a variety of government, academic institutions, including the U.S. Department of Veteran’s Affairs, the U.S. Patent and Trademark Office, and universities like Syracuse, Rutgers, Boston College, and Ohio State University. By 2014, Gordon was seeking growth funding for the business. Still averse to taking on equity, he used Axial to get a sense of the landscape of available debt offerings. “The Axial network produced quick responses from valuable contacts as soon as we joined,” Gordon says. Today, OfficeWork is profitable and cash-flow positive. 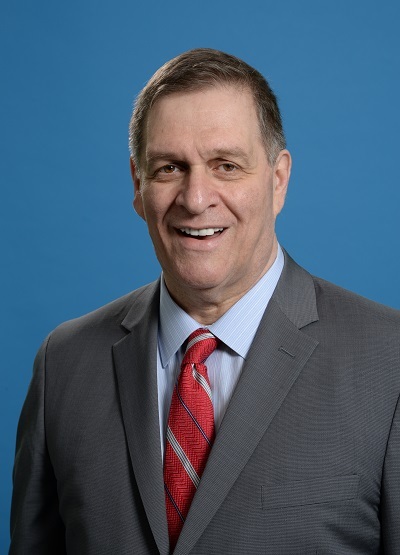 Gordon projects the company will grow at least a hundred percent in sales this year, while growing headcount slowly from around 30 in the U.S. and overseas this year. The strategy seems to be paying off: only one employee left OfficeWork last year. “We’re confident in our people — they’re smart, and they have a lot of experience — and we’re confident in our ability to deliver the best technology to our customers,” says Gordon.